Ordinarily, I wouldn’t do this but in some small way, I acknowledged the seventh and final release of Harry Potter by attending a celebration. From 8 p.m. until midnight, Big Sugar Bakeshop on Ventura Blvd. 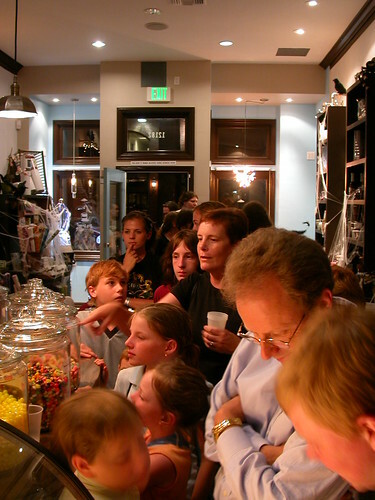 in Los Angeles was transformed into Honeydukes. Honeydukes? You know, that tavern in Hogsmead featured in the Harry Potter book. Don’t know what I mean? Then you should probably skip this post. I applaud Big Sugar Bakeshop for planning and putting this together because by 8:30 p.m. when I arrived, the whole place was buzzing from rabid kids running around high on sugar to a television crew filming the spectacle. 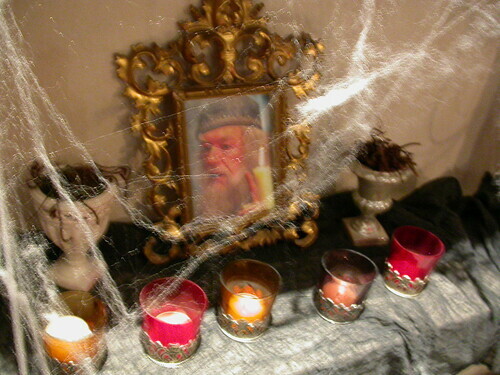 The place was decked out in cobwebs, candles and dry-ice “smoke” to enhance the ambience. Not only were kids dressed up in Harry Potter gear but the adults behind the counter were as well, keeping in character and entertaining everyone in line. Some items on the menu included chocolate frogs, sorting hat cookies, black mark cupcakes and butterbeer. 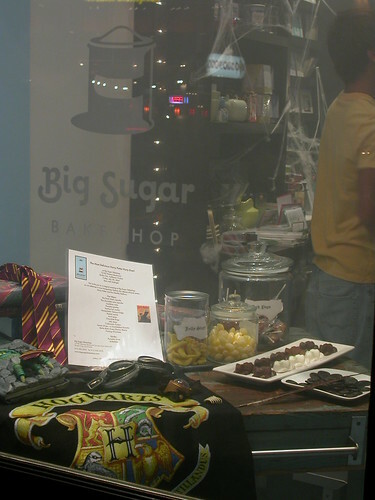 If it was mentioned in any of J. K. Rowling’s books, it was available at Big Sugar Bakeshop. Their butterbeer was butterscotch soda ladled into cups. Although the soda, ahem, the butterbeer was flat, I was charmed by the effort. Also offered was pumpkin juice. Items tried were the dark mark cupcakes (dark chocolate cake and frosting), chocolate cure cupcake (red velvet with green buttercream frosting), cauldron cupcake (vanilla cupcake with orange buttercream frosting decorated with black licorice) cockroach clusters (chocolate covered rice krispies), dung balls (chocolate truffles), chocolate frogs and jelly slugs. While eyeing cupcakes to be eaten while reading the book, I spied a red-headed family behind me who (unintentionally?) resembled the Weasleys. On any other day, Big Sugar Bakeshop is a fantastic bakery with very kid-friendly areas in the shop. 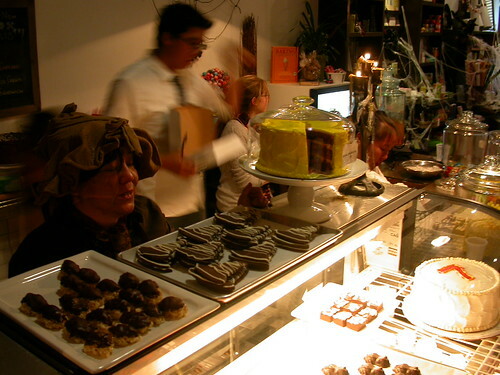 Delicious offerings include daily specials such as their decadent gold rush bar and array of cupcakes, cookies as well as many gifts and baking items which include some very cute aprons. Big Sugar Bakeshop is conveniently located on Ventura Blvd. near some fantastic shops. Their address is 12182 Ventura Boulevard in Studio City. 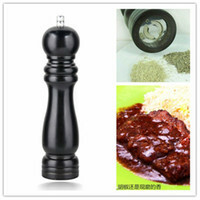 Check out their blog for the latest. While i'm not into HP in any way, shape or form, i can certainly appreciate the fact that peeps (young and not-so-young) are so into something that's NOT Paris, Barry Bonds, Lindsay, Posh or Becks. That makes me happy… there is hope for an educated future in this world! "Reading is Fundamental." And i find it applause-worthy as well that the Big Sugar Bakeshop (yummy!) did something like this, and got everybody into it. Such a mom 'n' pop thing to do.And mmmmmmmmm… cupcakes. Sounds like a fantastic time! I'm sorry to have missed the Harry Potter goodness. oooooooooooooo…. now that's my kind of fun! 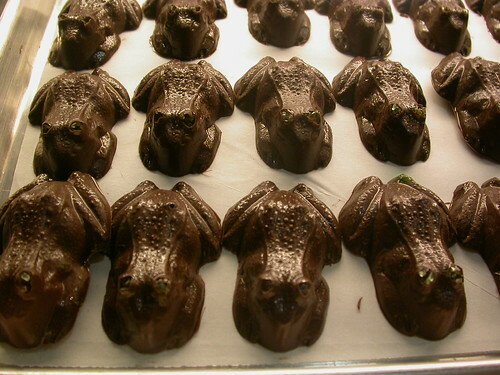 chocolate frogs!?! they're so cute! must've been quite swell. All day Friday I was keeping tabs on the goings on at Piccadilly Circus with all those people standing in the rain waiting for the party to begin…and contemplated going to Barnes and Noble just to witness the fun locally.What fun! Hey, aren't you and Cool Jerk catching a showing of "…Order" this weekend? Have fun if you do! I'm kind of glad my boys are still too young to get into HP — also, I don't think I can stay up that late, even if yummy chocolates and cupcakes are involved.N can read most of "Green Eggs and Ham" and I take J to toddler storytime at the local library every Tuesday a.m.I agree with Kleopatra: RiF!!!! No way! That's very cute. I like their cupcakes when they are not all "Potter'ed" out, so very cool. Hi Kleopatra–I agree that it's nice to know that a book, not a videogame or movie or a celebrity, is the source for all this buzz. It's a refreshing change.Hi Anonymous–It was a great time. Sorry you missed out.Hi Photogirl–Admittedly it was cool to be a part of the hype in some small way although I knew the book was going to be delivered to me via Amazon sometime the next day. It was like Halloween in July.Hi Mrs. Wong–I barely stayed up past midnight that night mostly because I had a lot of sugar but my eyes were still heavy. Glad to hear your boys are getting into reading at a young age. Hi JustJenn–Yeah, it was neat that they planned this. I bet they'll get a lot of repeat business because of this event because everything they offered was so yummy. Hi Craj–It was a fun event but I'm confused. Do I know you? My name isn't Lizzie. Lizzie works at the bakeshop… her husband's from NZ… I assume that was a shout-out to her.